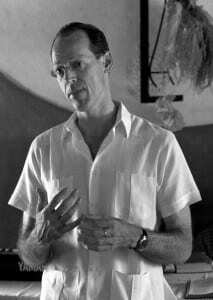 “People sometimes refer to [Dr. Paul Farmer] as a hero, saint, madman, or genius….but the essential thing about him is that he listens to his patients”, writes Haun Saussy, editor of Partner to the Poor: A Paul Farmer Reader, in his introduction. In this UC Press podcast, Saussy and Farmer speak to Chris Gondek about the book, and about Farmer’s work with Partners in Health. A doctor and an anthropologist, Farmer is concerned with treating illness, and also with addressing the social and structural factors that contribute to it: “We need responses that are both technologically apt to the problem and also linked to these broader efforts to respond to persistent poverty and inequality in the world”, he says. Taking a broad approach to health care, PIH joins forces with communities to target both acute and chronic health issues. The organization’s success, and Farmer’s writings over the years, challenge skeptics and prove that it is possible to bring quality health care to the poorest parts of the world, says Saussy: “They made it harder to say…that certain things can’t be done….Once something can be done, then that raises the ethical obligation that you should do it”.